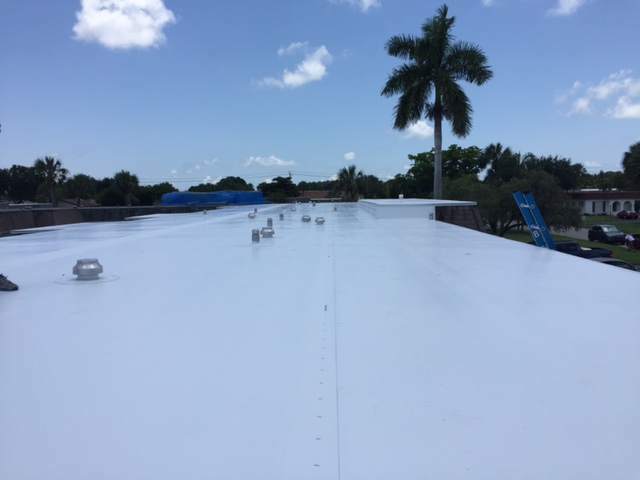 17,000 sq. 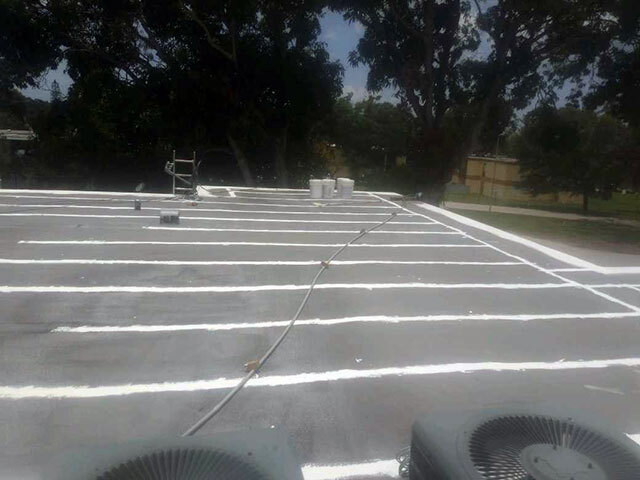 foot condo unit in Kenneth City & 5500 sq. 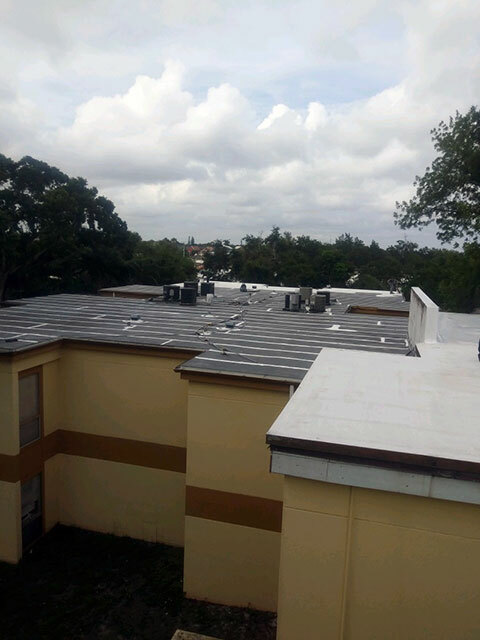 feet condo unit in Bradenton, Cortez Villas. 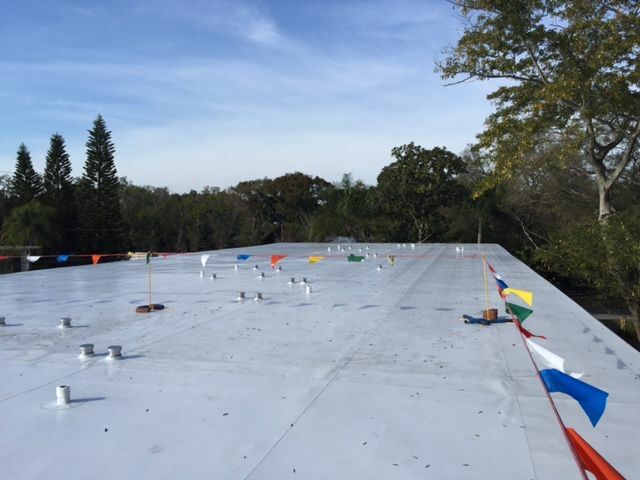 Below you can see one of our All Weather Roofing teams performing a TPO Membrane Roof Installation for a commercial roof. 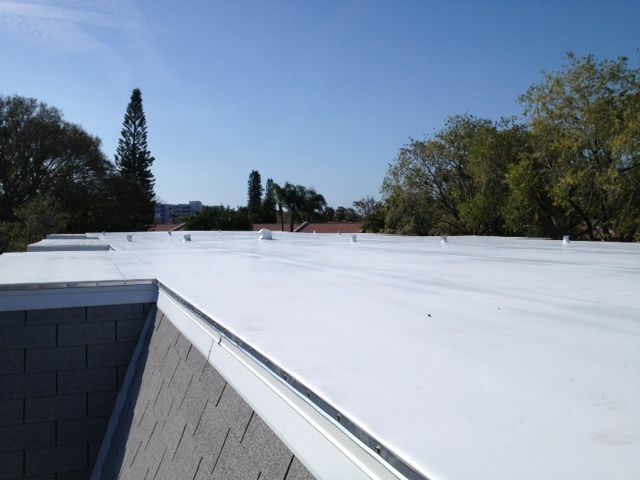 This kind of roof is superior in terms of durability, energy savings and warranty. 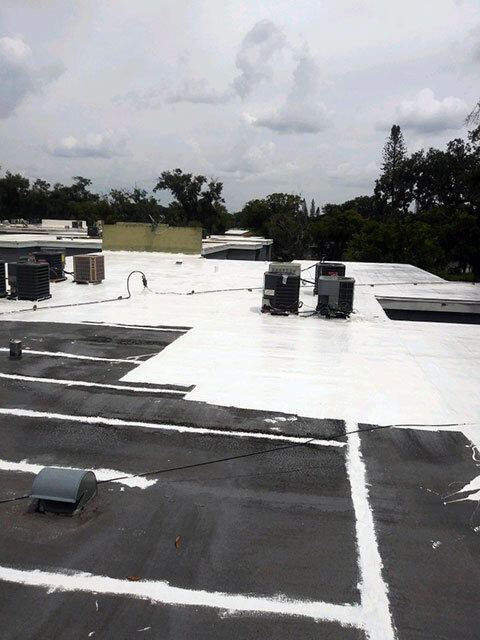 If you have a commercial roof that needs replacement, please contact us for a free video inspection and estimate. 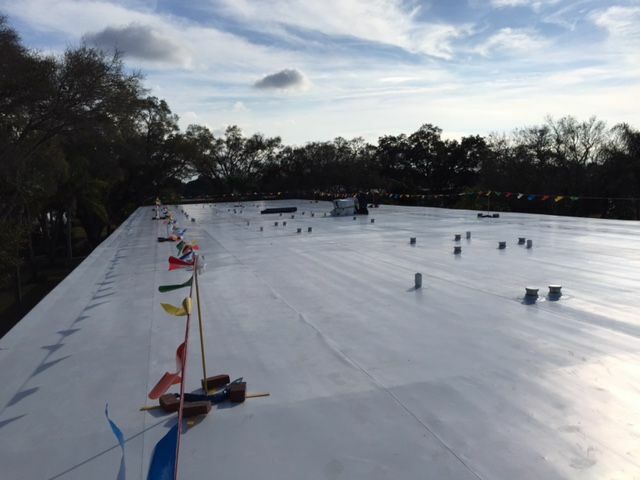 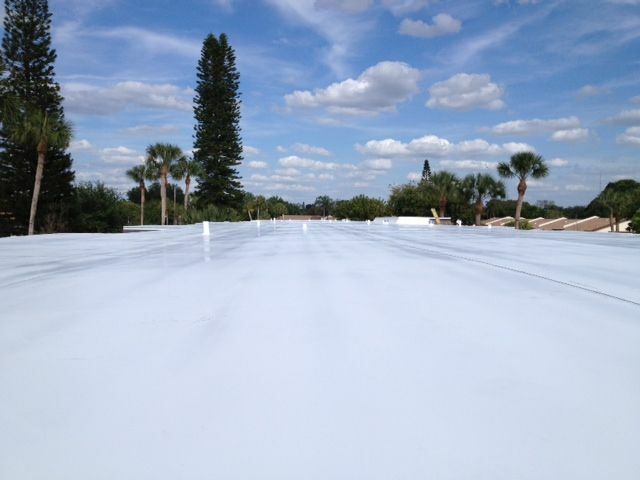 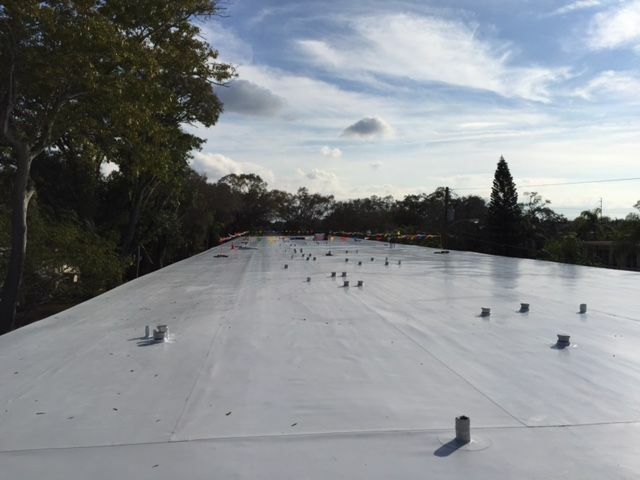 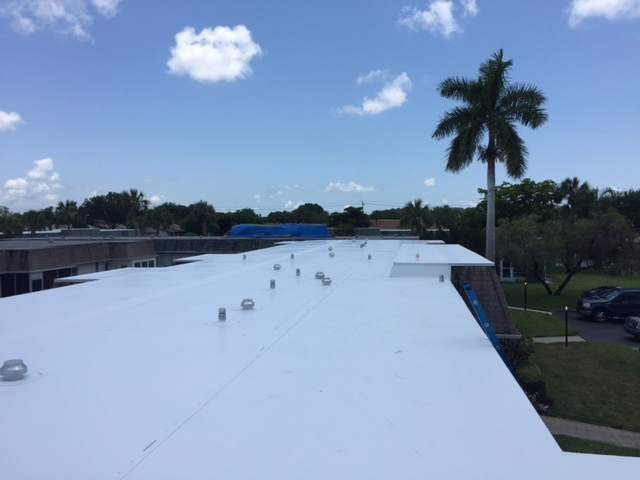 Since 1984 we’ve been one of Tampa Bay’s top TPO Membrane roof installers. 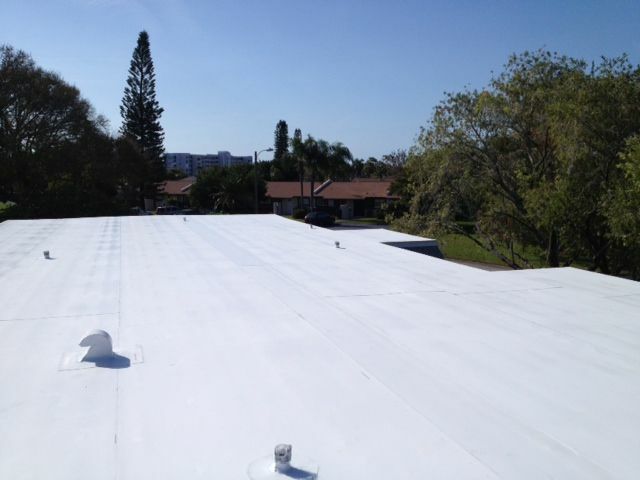 Call us at 800-297-3758 or inquire online.